Got to give the guy points for longevity. He debuted as a pro way back before Monica Lewinsky became a household name. 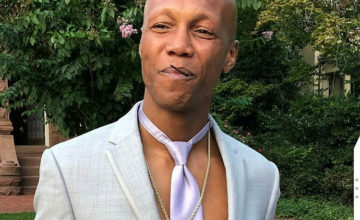 Zab Judah has been at this a looong time, indeed. He’s been off BoxRec since 2013, and is 1-3 in his last four, but he says he has another run left in him. The Brownsville talent will showcase his skills soon, in Vegas. LAS VEGAS (February 25, 2016) — the D Las Vegas and Downtown Las Vegas Events Center (DLVEC), along with Neon Star Media and Roy Englebrecht Promotions, hosted a press conference this past Tuesday afternoon to promote its new monthly boxing series, “Knockout Night at the D”. The inaugural event, scheduled for Saturday, March 12, will be held inside the DLVEC’s 20,000-square-foot tent. Guest speakers included Derek Stevens, Owner & CEO, the D Las Vegas; Carolyn G. Goodman, Mayor of Las Vegas; promoter Roy Englebrecht, Mar. 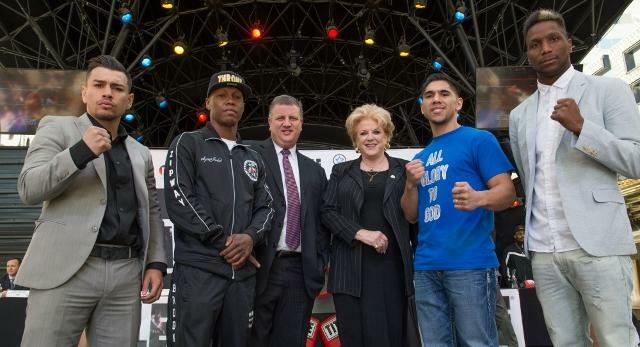 12th main event fighters Zab “Super” Judah (42-9, 29 KOs) and Josh “Pitbull” Torres (15-4-2, 7 KOs), co-feature boxers Chuy “El Huacan” Gutierrez (14-0-1, 4 KOs) andLeon “The Third Generation” Spinks III (11-3-1, 7 KOs). 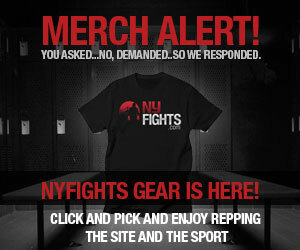 In addition to promoting the “Knockout Night at the D” series, as well as its Mar. 12th event, it was announced that the 8-event series will air live on CBS Sports Network and include all-star broadcasting team of Al Bernstein, Jim “JR” Ross and former world champion Kevin Kelley. The “Knockout Night at the D” presser was streamed live and is still available to watch at https://www.youtube.com/watch?v=oUimxhSX14k. Media and fans from around the boxing world emailed questions that were asked at the press conference and answered by the participants. Below find quotes from principal fights the press conference and a photo gallery (by Tom Donoghue / the D Las Vegas). Tickets, priced at $65.00 ringside and $20.00 seated general admission, are on sale at Ticketmaster.com or DLVEC.com. Suites are $1000.00, up to 10 guests, and includes a beverage package. Taxes and fees apply to all sold tickets. The “Knockout at the D” series was developed in partnership with DLVEC and Neon Star Media.